like to have included in this Calendar. It's free! Join us for Movies in the Garden on Tuesday evenings, July 22 - August 26. Doors will open at 7pm, and the show will begin at dusk in the beautiful wedding garden. Admission: Adults $2 each Kids 10 & under free Well-behaved pets on a leash are also welcome. Concessions There will be food, snacks and beverages (beer, wine & non-alcoholic) available for purchase. Please, no outside food or drinks. Seating: Remember to bring blankets, pillows and sweaters to keep warm after the sun goes down. Chairs are allowed, but we ask that guests with chairs sit in the back, and let guests on blankets sit up front. Cottage Grove Art Walk has been celebrating local art in downtown historic Cottage Grove for over 10 years. Our current season runs every last Friday of the month from 6-8 pm , from April to November. Cottage Grove Art Walk operates under the auspices of Another Way Enterprises, a 501(c)3 nonprofit organization that supports local community projects. The Cottage Grove Art Walk committee is composed of a group of volunteers who connect with local artists and businesses, organize entertainment and events, and write grants to support the arts in our town. In the past, Cottage Grove Art Walk was awarded a grant from the Lane County Cultural Coalition. A special thanks to the following organizations who have sponsored Art Walk and individuals who currently volunteeer, all whom of which make Art Walk possible. Please visit their website or Facebook page. The Cottage Grove Grower's Market features a variety of local produce, art and crafts to our local community with a special emphasis on sustainable or organic agriculture, as well as natural healthy products, handmade crafts and locally made artwork. Entertainment will compliment the Grower's Market June 20 to September 12, with Concerts in the Park on Wednesday nights from 6-8pm, brought to you by the Cottage Grove Area Chamber of Commerce and sponsored by Chamber member businesses. Starts at 11:am Classic Car Show: 8:00 am - 3:30 pm Awards Presentation: 3:30 pm (time approximate) Classic Car Cruise: River Road and Main Street Start from CG High School River Road to Main East on Main Then back West on Main to River Road River Road to High School etc. Cruise: 6:00 - 8:30 pm Cars and Motorcycles registered for the Car Show may cruise for no additional fee. Street Street Dance: 8:30 - 11:00 pm 7th and Main Downtown Cottage Grove Two 50s / 60s bands: The Cornstalkers The Hi-Fi Ramblers Main Street will be closed from 6th to 8th St. and 7th St. will be closed between Whiteaker and Washington with no parking, however, classic cars will be allowed in to park. Come one, come all, place your secret ingredients against your friends and neighbors! Come taste the best Chili in town and vote for the winner! KNND's Rock, Roll 'n' Rumble will also start with live music and dancing at 8PM! It all happens on Main St.
Jim Wright Field - Across from Village Green Inn. Jim Wright Memorial Stearman Fly-In. Once again the Stearman planes will grace the Cottage Grove Airport. These old birds were used to train WWII pilots and they've seen a lot of miles since then. Early birds will start arriving Friday night, and most of the pilots will head for home by 1 pm on Sunday - so come out on Saturday to see the planes, talk to the pilots, and look around the Oregon Aviation History Center. Swift Fly-In. Early birds will start arriving on Friday, July 6th, but the best days to see these great old planes and talk to their owner/pilots would be Saturday or Sunday. Bring the kids and come on out to see the Swifts! Steer riding, Bull Riding, Mutton Bustin', Calf Riding, Barrel Racing, Professional Roping competition, Queen's Court and lots more. Come see the other animals including the pigs, goats, chickens at the Animal Scramble. The Cottage Grove Riding Club Youth Drill Team will follow the cowboys and cowgirls starting at 5:30 p.m. The NPRA rodeo begins at 7pm. with the Cottage Grove Riding Club Adult Drill Team and a presentation of Our Nation’s Colors to be delivered by local long-time Cottage Grove Riding Club members. If you are interested in entering any of these events, call 541-942-9695. If you are interested in joining the Trailer Race - please call 541-942-9695 or email kathybasaraba@yahoo.com. Entries close Thursday, July 8 at 5 pm. There has been Added jackpot money has been added. Participants must own a Dodge truck. to compete. Turn left onto Gateway Blvd. Continue Directions below. Stay straight onto Gateway Blvd. Turn right onto N. 19th Street. 19th becomes Ostrander Lane. Turn Right onto N. Douglas St. to fairgrounds. Saturday June 23rd, 2012 - Rain or Shine! Bring boots, water, and your favorite ivy tools. We'll provide the snacks. 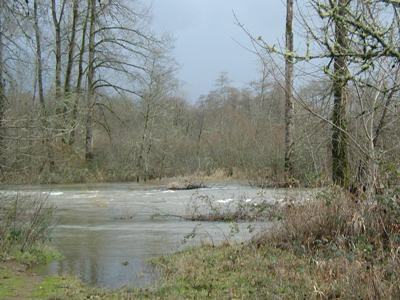 Spend your Saturday morning outside with us helping to protect habitats in the historic floodplain of the Coast Fork Willamette River with State Park Ranger Scott Youngblood. Help remove English ivy trying to strangle the trees in this park! We'll also look for stands of native plants like nettle to protect from reed canary grass and do a bit of wild crafting. Bring boots, water, and your favorite ivy tools. We'll provide the snacks. For questions about the event, please call 541-517-8580 or 541-767-9717. Please use our Calendar Additions Form to list your 2012 Cottage Grove Oregon event info and dates. It is helpful to format the information like you see above. Thanks!